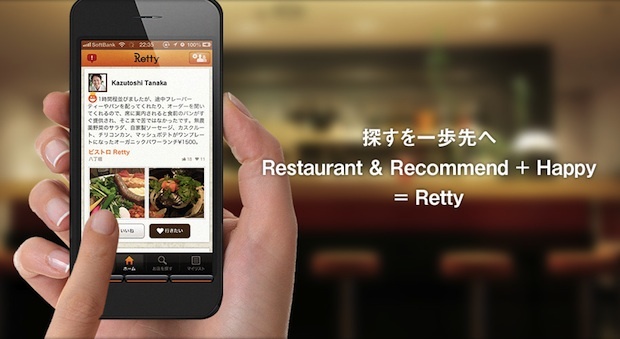 Tokyo-based Retty, the startup behind the restaurant finder app of the same name, announced today that it has raised 330 million yen (approximately $3.2 million) in a series B round from Itochu Ventures, Mizuho Capital, and other investors. 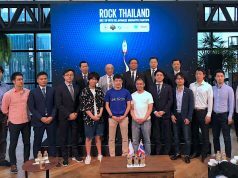 Prior to this round, the company raised $22 million yen ($285,000) from CyberAgent Ventures and an angel investor back in August of 2011, and 100 million yen ($1.2 million) from Gree Ventures, NTT Investment Partners, and Mitsubishi UFJ Capital back in October of 2012. Our readers may recall the app surpassed 1 million monthly unique visitors back in October. The app renewed its interface back in its interface back in August, which has helped spur user growth to almost twice its previous rate. But Retty still has a huge obstacle to overcome. Its competitor Tabelog has 25.77 million desktop users, 22.97 million users on mobile, and a surprisingly 1.14 billion unique page views in a month . It will be interesting to see how Retty will position itself in this race. 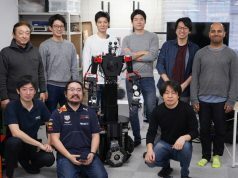 We’ll explore the company’s future plans in an upcoming chat with CEO Kazuya Takeda. 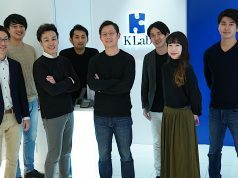 So please stay tuned!